Our attorneys are recognized experts in domain name law with significant experience in the domain name industry dating back to 1997. 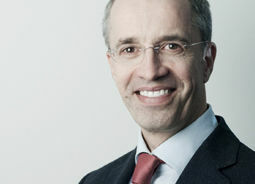 We have advised many clients on numerous launches of TLDs including sunrise periods, launch procedures and validation of rights over the last decade and have also counseled clients on cutting-edge issues such as the new generic top-level domain (gTLD) program, including drafting and prosecuting new gTLD applications for companies such as Merck KGaA, BMW Group, Der Spiegel, Fresenius SA, and Deutsche Vermögensverwaltung AG. As panelist for domain name dispute proceedings at the World Intellectual Property Organization (WIPO), our Partner Dr. Bettinger has decided and has represented trademark owners in more than 200 UDRP proceedings against abusive domain name registrations. We currently represent Merck KGaA against Merck & Co. Inc. and ICANN in one of the most striking and complex conflicts concerning the application for new gTLDs. As members of the Legal Advisory Board of the German Registry for .de Domains, DENIC e.G., head of the ICANN Task Force of the AIPPI Trademark Committee and active members in ICANN’s Intellectual Property Constituency (IPC) we serve as strong advocates for brand owner and other client interests in the development of global Internet and domain name policy. As authors and editors of the “Domain Name Law and Practice”, and frequent speakers on major conferences, we are actively contributing to the further development of this dynamic field of law. Our team has the necessary legal and technical expertise to prepare and manage a gTLD application through all facets of the application process, including dispute resolution at ICANN. We collaborate with well-known Internet service providers to comply with all technical requirements for operation of the gTLD registry. Comprehensive, up-to-date information about the domain name system, domain name case law, and information on dispute resolution procedures (UDRP, .eu domain disputes, etc) can be found in our legal database.